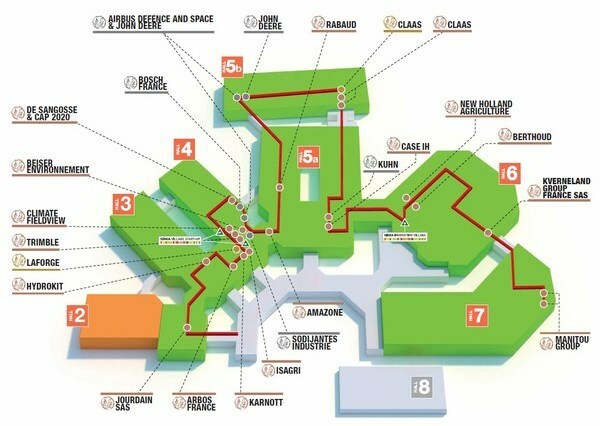 This area aims to be both forward-looking and in touch with the current sector needs. Thanks to innovative digital scenography, discover or rediscover the 27 winning products from a new perspective. A 2.50m video cube will showcase the award-winning machines and services! A dedicated innovation trail and detailed technical documentation will make your visit even more worthwhile. Get involved in creating an innovation, give your opinions, attend demonstrations and test out new practices! Robotics, Photovoltaic agriculture, virtual reality or soil protection innovations will be available to test. Discover initiatives and new practices developed by French and international professionals. Selected for their innovative nature but above all for their convincing results, these profiles are intended to inspire every visitor and exhibitor attending the show. Some of these profiles are already available here. Innovation is everywhere at SIMA ! 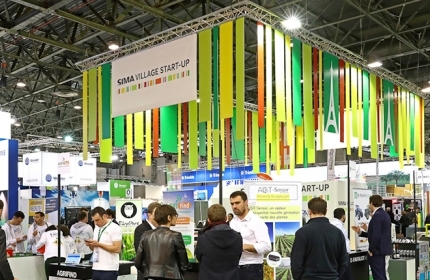 Travel along the 7 halls of the show discovering the 27 SIMA Innovation Awards products and services, the 2 Start-up Villages and the Innovation Village!